May is finally upon us which can only mean one thing – Cinco de Mayo! It may not be New Year’s Eve or St. Patrick’s Day, but it’s that much better because chances are you’ll get much better weather. There are two things that Texas is known for doing right Tex-Mex and barbecue. Now combine that with craft beers and cocktails, and you will have one awesome pub crawl! Some bars are ice boxes converted into bars, so you will learn about some Texas history as you sip over a hundred different craft beers, both local and domestic. Experience Mexico without a passport as you listen to Spanish music and eat Mexican food and sample large selection s of tequila. Go to the oldest bar in the area, and you might see someone famous, since all walks of life frequent the establishment. Readers of one local San Antonio magazine rated a particular bar as the best place to watch football or a Spurs game, even though it does not have multiple TVs like a typical sports bar, as well as being the best icehouse. 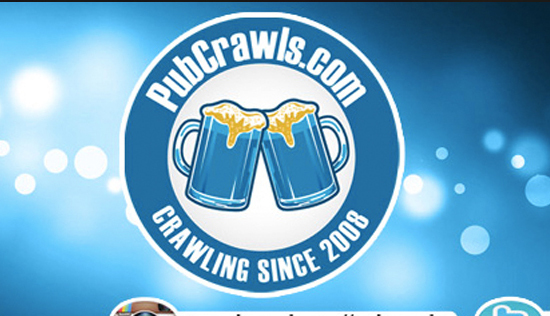 Who knows what you will find in our pub crawls in San Antonio? But you will find good drinks in good company for sure! 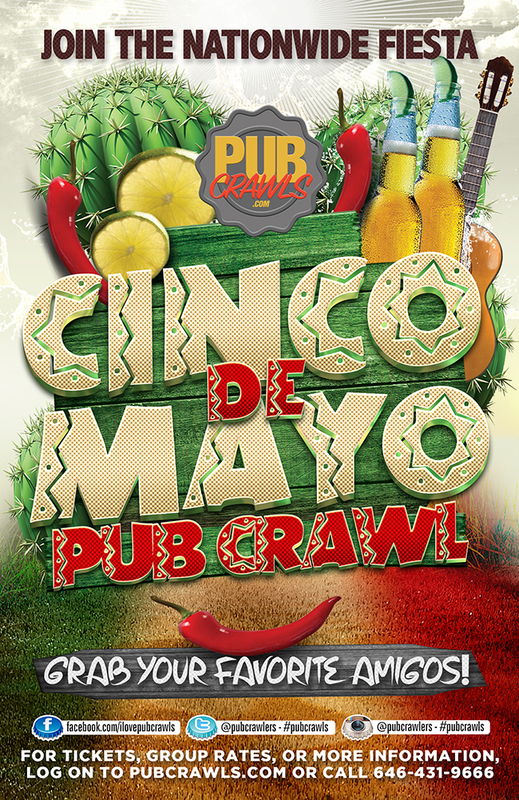 We’re prepared to put together yet another colossal event in the Alamo City – the official Cinco de Mayo Pub Crawl! Be prepared to enjoy some of the most classic Mexican drinks such as Margarita’s, Tequila Shots, Sangrias, and Goiabardente’s. Meet new friends at some of the top bars that Say Town has to offer and take comfort in knowing that we have put together the ultimate bar hopping package for this year’s Cinco de Mayo festivities. Walk on over to this year’s registration venue in order to receive your official Cinco de Mayo wristband and full pub crawl map. Then, you’ll be all set to crawl some amazing bars in the area. It doesn’t matter whether you’re Mexican or not, everyone enjoys coming out and celebrating joyous occasions in Downtown San Antonio’s River Walk. Cinco de Mayo is a day for celebrating Mexican heritage, taking part in great food and drinks, oh and course, remembering a most unlikely win against the French in 1862. Whether you’re Mexican or not – it makes no difference to us! Come on out and enjoy the festive environment throughout San Antonio. While the weather is just beginning to heat up, grab that ice cold Corona and take part in the best bar crawl during the entire Spring season – Cinco de Mayo!